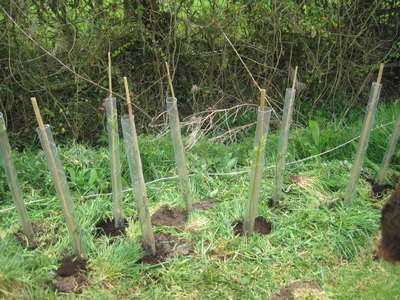 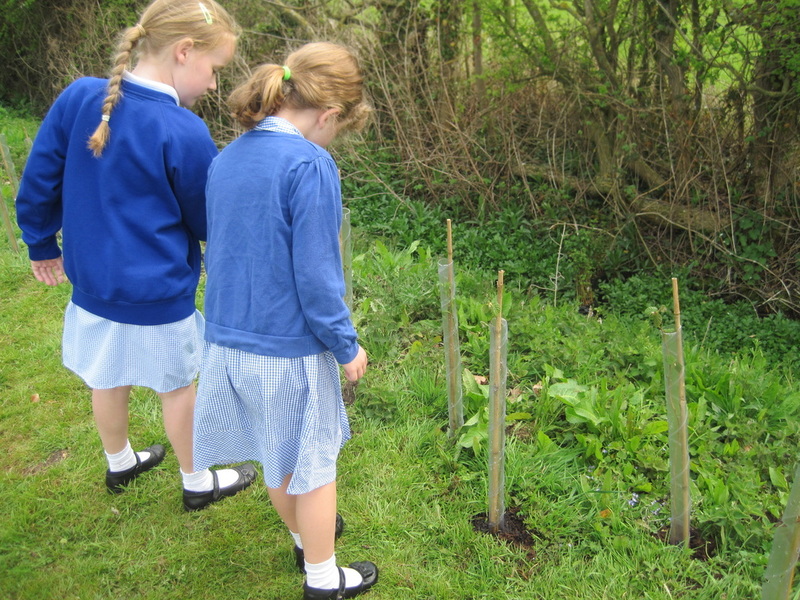 Mr Dunn has over 400 trees to plant on our school field so we decided to spend our lunch time helping him. 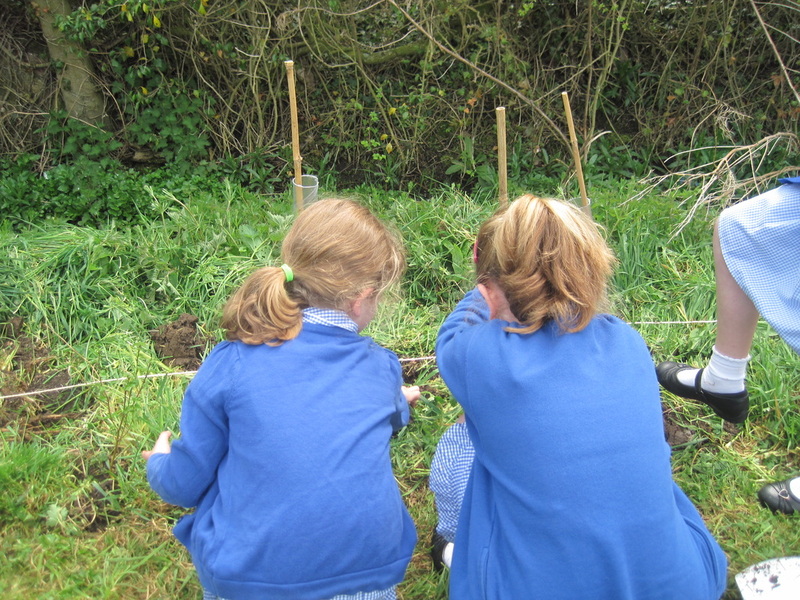 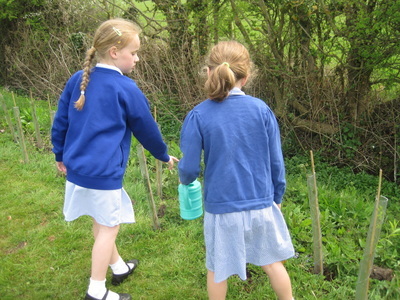 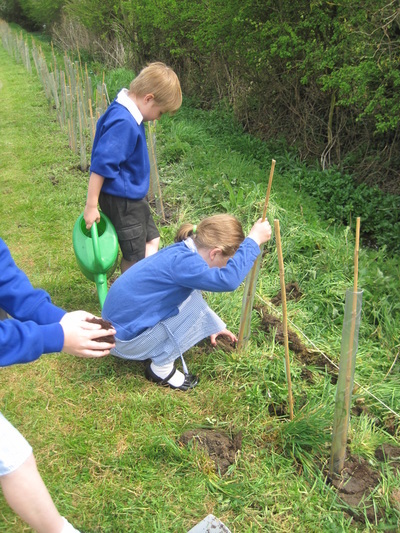 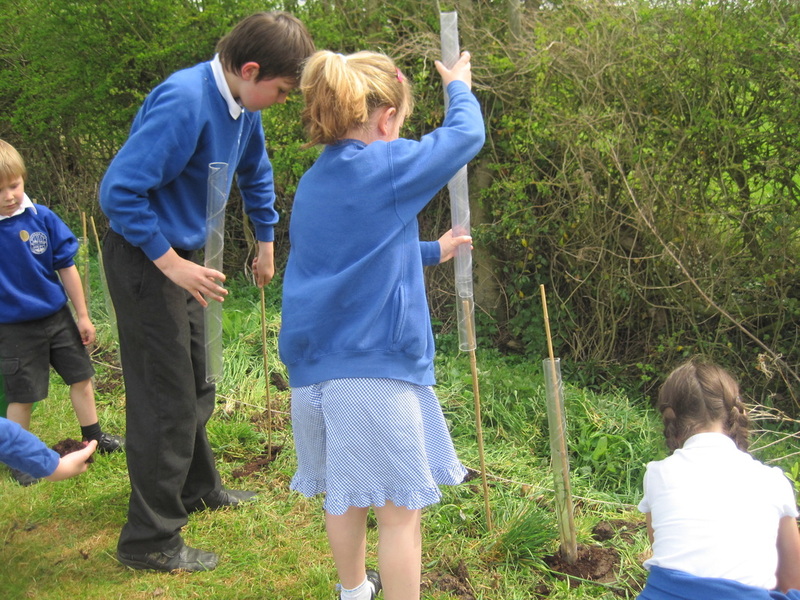 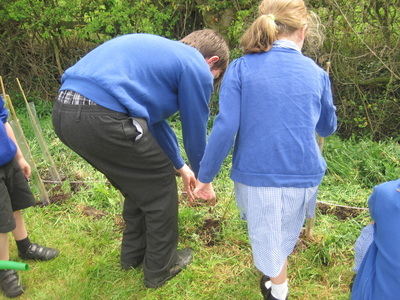 We chose one of the trees then covered it in a hole with compost. 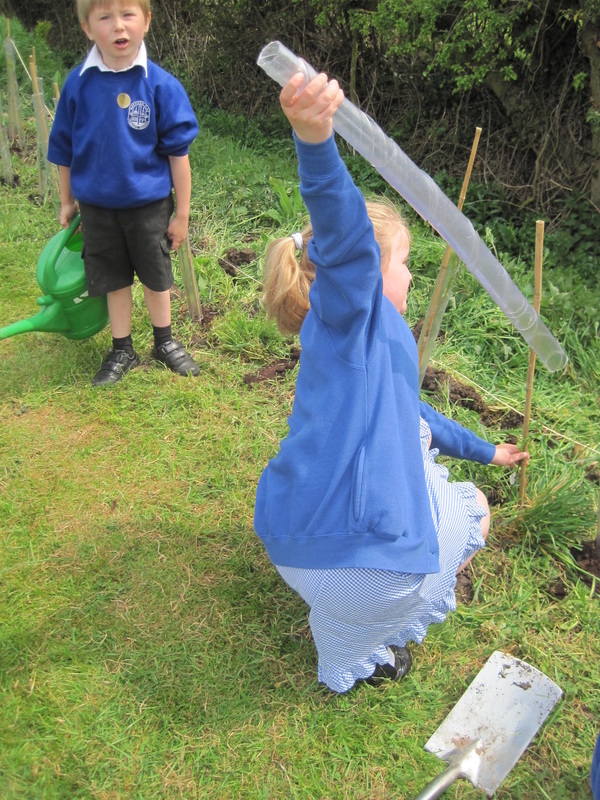 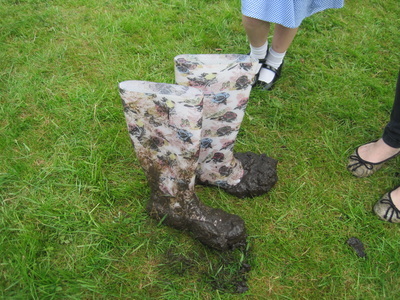 Next we secured it with a stick and plastic cover to protect it and finally we watered them. We are looking forward to seeing them grow!